God has blessed us in many ways and the work of the parish is His work. Please prayerfully consider volunteering. The following program options make a statement of faith - faith in our God, faith in ourselves and faith in the future of St. Rita Parish. Know that you are an indispensable part of who we have been, who we are now and who we will be in the years to come. 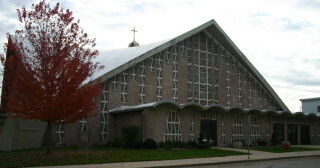 If you desire any further information about any areas of service, contact the Parish Office at 414-541-7515. If you are accepted as a volunteer for any position, any falsification or significant omission of information may be considered justification for dismissal, and St. Rita Parish shall not be held liable in any respect if your volunteer assignment is terminated for this reason. Also, if you are working with youth on a regular basis, there are several criteria that must be met including, but not limited to, attending a Safeguarding All God’s Family training class; furnishing references; and agreeing to a federal and state criminal records check. You must agree to follow the policies of St. Rita Parish and pledge to join with the Church in its efforts to provide a safe and secure environment for our children. God has blessed us in so many ways and even though times and circumstances change, God’s love for us remains the same. The work of the parish not only involves the need for your time and talent it also involves the need for your treasure. While addressing financial issues may be something people find uncomfortable and would rather avoid, the truth is financial issues are a fact of life. There are many costs and expenses involved in running our parish and thanks go out to all those who so generously give to the parish.